Dr. Phillips is a beautiful part of Orlando, but this doesn’t mean that rats aren’t still an issue. Unwanted rat invasions create a risk for both your family and your home. The key to stopping a rat problem is early detection, due in large part to a rat’s ability to reproduce alarmingly fast. The sooner you can remove any nuisance rats, the easier – and less damaging – it will be. However, rats are known to carry infectious diseases, and should never be handled by anybody other than a rat removal professional. Trust the experts at Critter Control® of Orlando to get those rats out of your Dr. Phillips home or business for good. Here at Critter Control® of Orlando, we implement an exclusive four-step method to remove rats, and keep them out for good. Inspect – The first thing we do when you call is set up a complimentary home consultation. We use this as a tool to assess the severity of your rat infestation, and use that to help develop a plan that works for your needs. Remove – After we determine what needs to be done, our expert technicians use the most effective methods available to free you of rats. 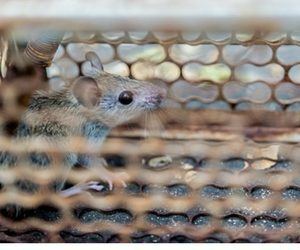 Repair – Once the nuisance critters have been removed, our technicians are able to repair any damage the rats may have caused during their stay. Exclude – Once we have your home looking like new, we are able to seal off any points of entry to ensure that you won’t have to deal with an infestation again. When you start to suspect a rat infestation, don’t wait to take action. Call the rat removal experts at Critter Control® of Orlando today at 314-423-8801 to schedule your complimentary home consultation.